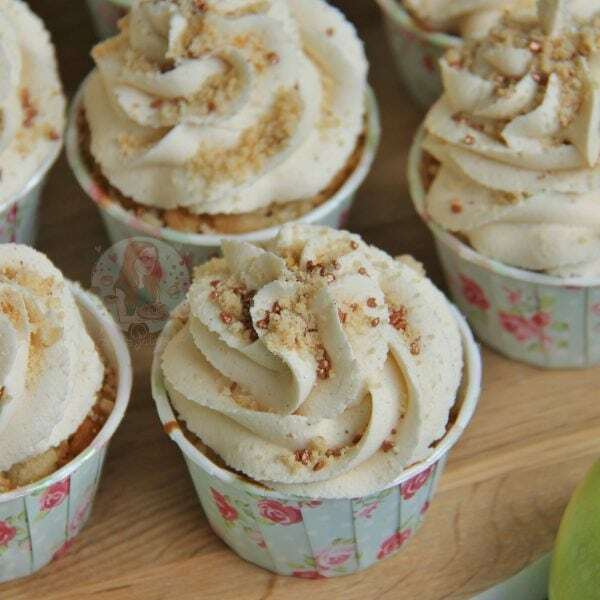 Light, Soft, Cinnamon Sponges with Apple, Golden Delicious Crumble, Cinnamon Buttercream, and even more Crumble. 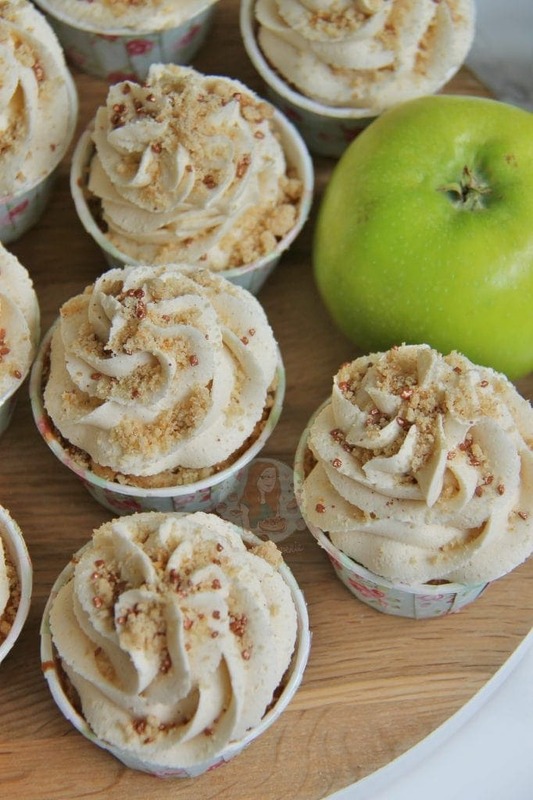 Apple Crumble Cupcakes, perfect for Autumn. WELCOME TO SEPTEMBER! Even though Autumn doesn’t technically start till late September, I still say its Autumn now. Therefore, APPLE CRUMBLE CUPCAKES are now a thing on my blog. I posted the Cake version of this last year, and its always been a hit – Apple Crumble Cake. The cake was a beautiful marriage of soft, light sponge, with cinnamon, and the delicious baked apple. These cupcakes? The PERFECT smaller version. In complete honesty, the cupcake mixture is literally the cake mixture halved. The cake version worked so well, that I didn’t want to mess with it. However, because of this, it did produce more that my usual 12 cupcake batches. You can try and reduce it if you like, but I like the extra cupcakes… who doesn’t?! 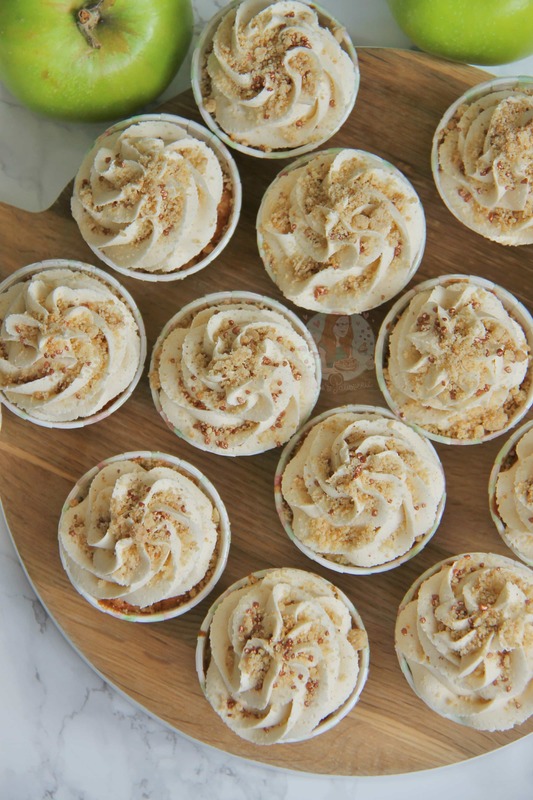 The Cupcakes have the perfect amount of Cinnamon for me, but you can add some more if you wished. The extra sugar can be a worry for some, but it helps the apple bake perfectly. 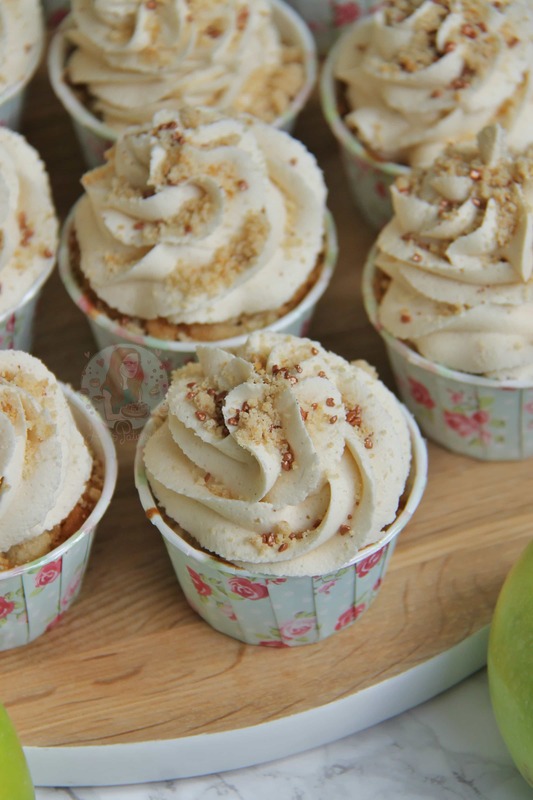 When baking these, I was worried that the apple in the cupcakes wouldn’t be baked through enough, so I made the pieces a little smaller than the cake version, and it was ideal. 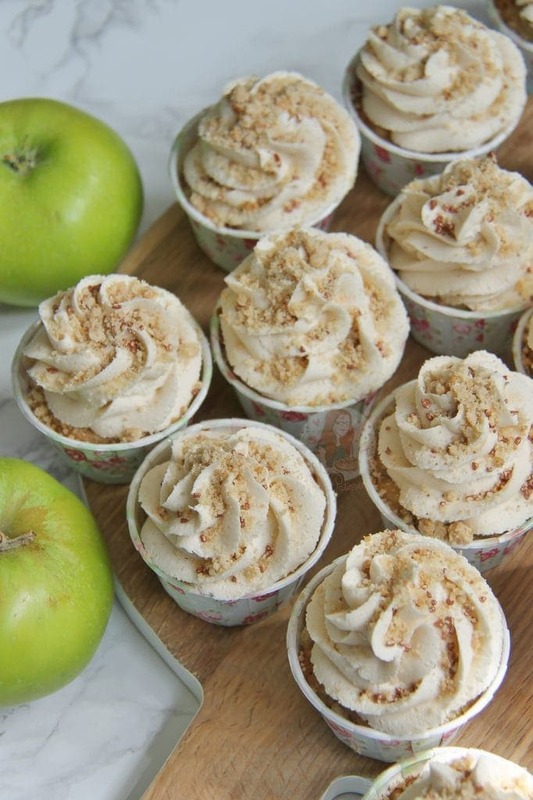 The apple still has a ‘bite’ so that its not just mush, and it helps make sure the cupcakes bake through properly. Coating the apple in a little brown sugar, reduces the tartness of the apple slightly, and gives it a wonderfully delicious flavour. Adding that with the cinnamon, is deeeeeelightful. Preheat your oven to 180C/160C Fan and Line a 12 Hole Muffin Tray with Large Cupcake Cases/Muffin Cases or put 12 Iced Jems Baking Cups onto a flat tray! Peel and core the Apples, cube the apples into about 1cm (small) pieces. Make the crumble mixture. Rub together the Sugar, Flour and Butter until the mixture resembles bread crumbs, leave to the side for now. Put the apples into a bowl, and cover with the 25g of Light Brown Sugar. Mix it up so all the apple pieces are covered and leave to the side. Beat together the Butter/Stork and Sugar until light and fluffy. Add in the flour, eggs, and cinnamon and beat till smooth. 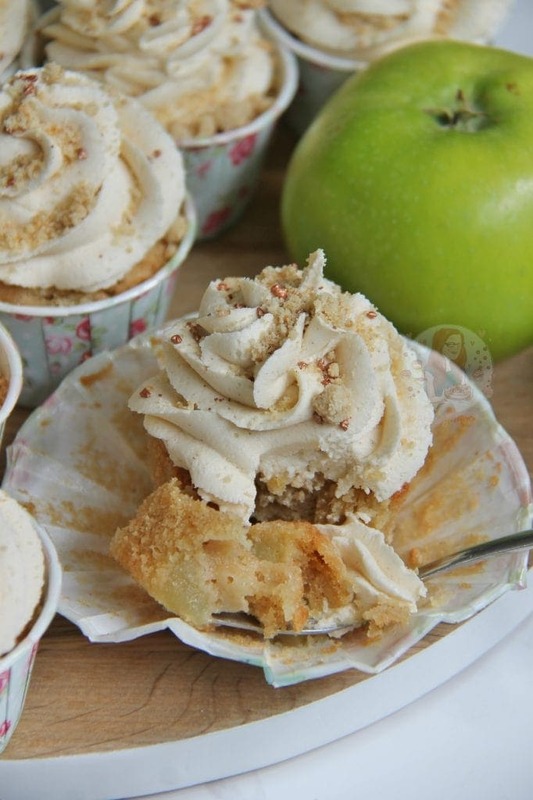 Fold through the apple mixture and spoon into your cupcake cases. Because of the apple, you will probably get more than 12 out of the batch. Sprinkle on a layer of the crumble mixture (only about 1/2cm worth per cupcake) and then bake in the oven for 20-25 minutes or until baked through! Once baked, transfer to a rack to cool completely. After they’re out of the oven, sprinkle some of the spare crumble mixture onto a baking tray and bake in the oven for 15-20 minutes or until its lightly coloured (170C Fan). Leave the crumble mixture to cool. For the Buttercream – Beat the butter for a few minutes until really light and supple. Add in the icing sugar 1/3 at a time and beat fully after each incorporation. Add in the cinnamon, vanilla and 1-2tbsps of boiling water and beat for about 5 minutes until really light and fluffy. Using a 2D Closed Star Piping Tip, pipe the buttercream onto the cupcakes. Sprinkle on some of the cooked crumble mixture and maybe an extra sprinkle of cinnamon, and some sprinkles and yaaaay you’re done! I recommend using Iced Jems Baking Cups and a 2D Closed Star Piping Tip to decorate! When buying the apples, buy above the 250g as thats the chopped and peeled weight. You need to go for about 400g worth unpeeled, to make sure that its enough! Some oven temperatures can vary even if you set it to the ‘correct temperature’. You can tell if a cake is well and truly done by testing them with a skewer, and seeing if it comes out clean. HOWEVER, you need to also listen to the cake, if its still making a crackling/bubbling sound then its not quite done. Keep baking till that sound goes away! I reeeeally would recommend using COOKING apples for this rather than regular eating apples because of the length of time the cake is baking for. If you used regular apples, there is a chance they’d turn to mush, and then the cake wouldn’t bake well either. The lovely bright green cooking apples are the ones you’re after! You could also use a ready made crumble mix if you like as well as it does save time, but you’ll still need to bake it on top of the cake in the same way, and bake the spare in the same way as well! This cake will last in an airtight container for up to 3 days! Older Next post: Mini Victoria Sponge Cakes! Newer Previous post: Apple Blackberry Crumble Pie! Hiya! 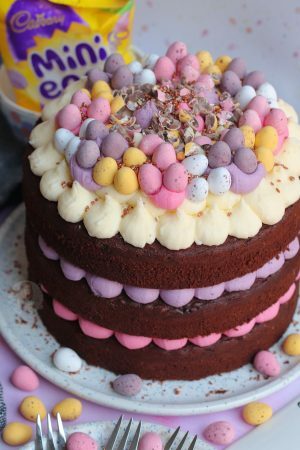 I’m afraid I haven’t tried this exact recipe as a traybake – but in general I would say one batch of cupcakes makes an 8″ round tin cake. 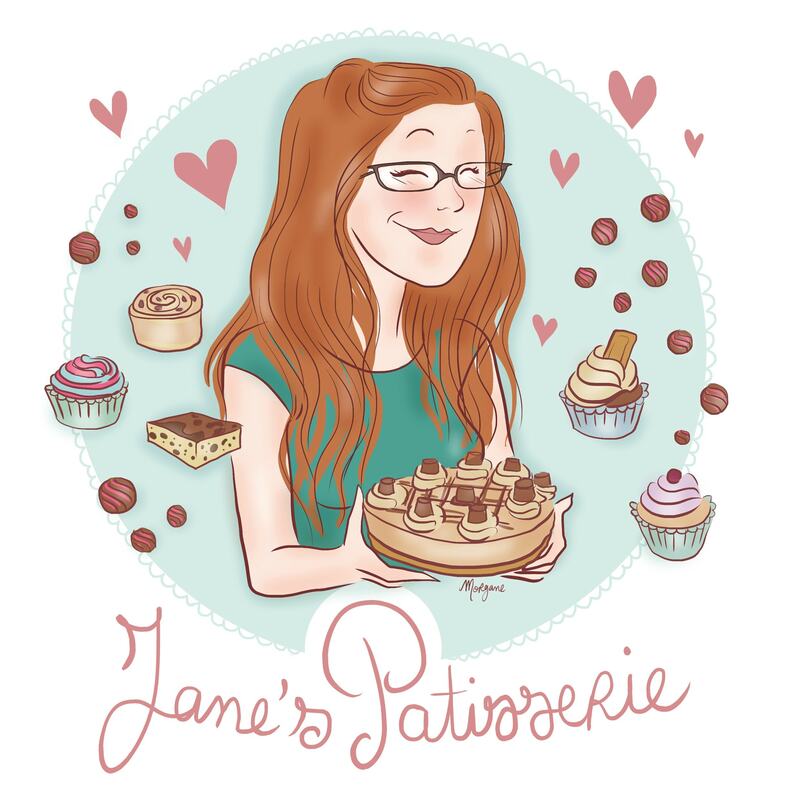 So you could maybe double it, or use the Cake version and bake in a 9×13″ tin?! Keeping an eye on the timings though as I’m not 100% certain of them. I love the sound of these, and the big cake version! 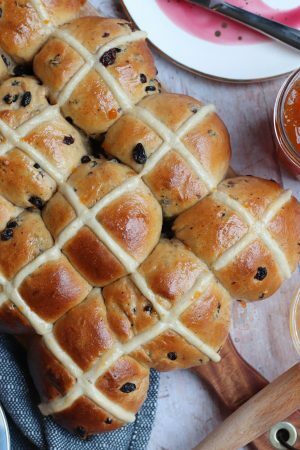 Have you ever tried the same recipe in a loaf tin? I haven’t unfortunately – but it’s definitely worth a try! These look amazing! Can you grate the apple? The apple would be too small in my opinion – chunks would be better. Yummm! 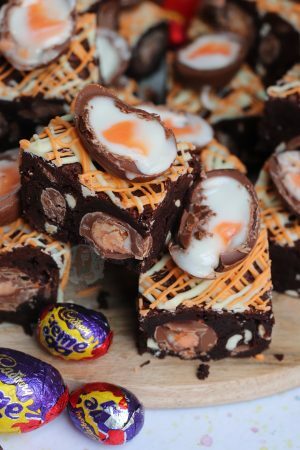 I should try this recipe as soon as my kithcen will be ready!!! 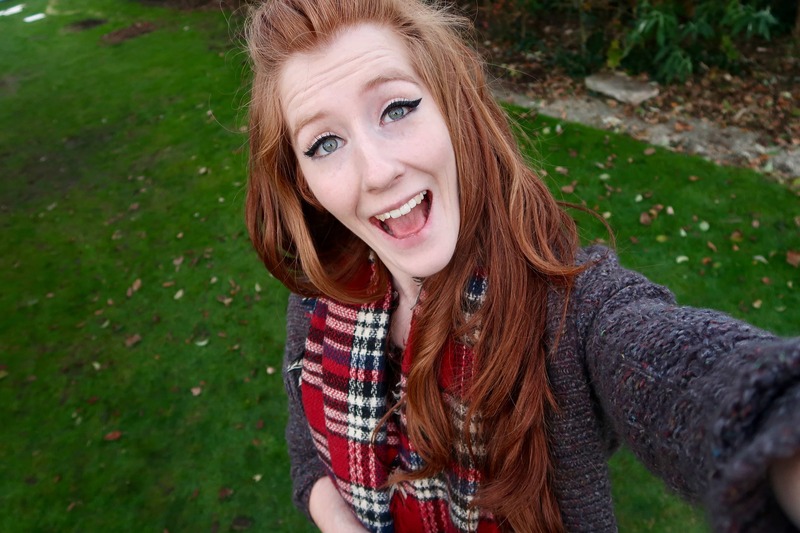 Yessssss girl, get Autumn in full swing! 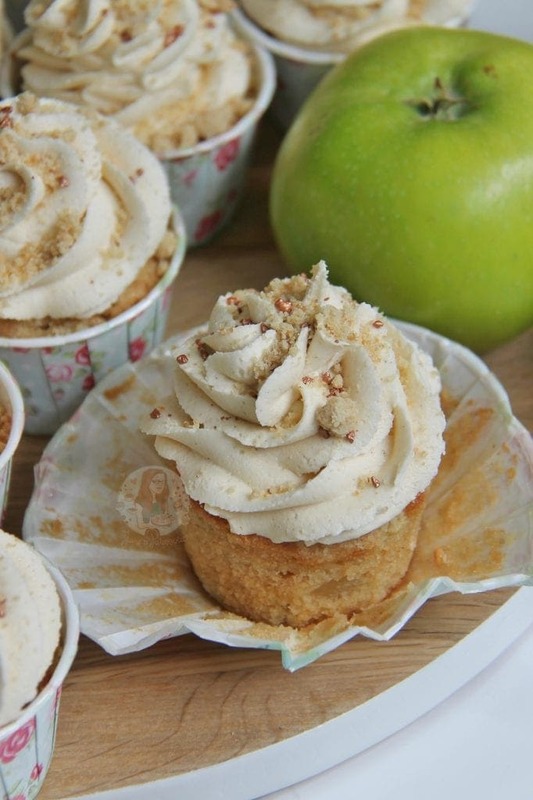 These look lush, apple crumble is my deathbed dessert!